A Baltimore City Circuit Court judge has given the “go ahead” for a student’s lawsuit to proceed – for now, at least – against Morgan State University, denying a Motion to Dismiss the lawsuit. Awful details here. The 23 year old Plaintiff has filed suit against Morgan State for failing to act to protect students and visitors on the university campus. The lawsuit, which seeks more than $75,000 on each of three counts consistent with Maryland’s new law not to ask for specific damages in the Complaint, was filed as a result of a horrific beating that the Plaintiff received by the hands of a man later found not criminally responsible due to mental illness. The lawsuit alleges that there was foreseeability on the school’s part that something bad was going to happen. That’s where the claim gets a little tricky. The attacker, prone to violent outbursts at college events, attacked the Plaintiff with a baseball bat wrapped in barbed wire, blinding him in one eye. 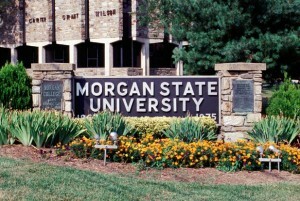 The lawsuit states that the warning signs were there, but that Morgan State failed to act. Previously found wielding a machete on campus, and known to leave satanic rants on social media sites, the attacker has since been arrested on a separate case. Charged with murder, it is alleged that he killed and dismembered a family friend, and consumed some of the deceased’s organs. A Maryland federal bankruptcy judge refused to reconsider a ruling to lift an automatic stay in prolific Baltimore asbestos defendant Lloyd E. Mitchell Inc.’s Chapter 11 case so that a settlement with the debtor, two insurers, and a law firm representing 9,000 Baltimore asbestos personal injury claimants can be completed. Mitchell was a Baltimore mechanical contracting business that went out of business almost 40 years ago and is now in the not so lucrative business of defending against asbestos meso claims. Peter G. Angelos and Peter T. Nicholl have filed an unbelievable 9,000 asbestos claims against Mitchell. Johns Hopkins’ seems to be getting its fair share of bad publicity lately. You’ve had your head stuck in the sand if you are from Maryland and you haven’t heard of Dr. Nikita Levy. Today, Hopkins has shut down its facility on Keswick Road in northwest Baltimore while health officials try to figure out what caused a hazmat situation yesterday. On Tuesday, fire crews were called to the facility after reports that several people had fallen ill, all with the same symptoms. The mayor’s Office of Emergency Management has said that seventeen people were sent to the hospital for treatment of a variety of illness symptoms. The hospital formerly known as St. Joseph Medical Center has reached yet another settlement – this time with the federal government and the state of Maryland. What for this time? This one is for submitting false claims to Medicare, Medicaid, and other federal healthcare programs. The New England Compounding Center has been blamed for the fatal fungal meningitis outbreak that recently killed 44 people and left another 650 seriously ill. Plaintiffs’ lawyers always speak in moderated terms, avoiding phrases like “we have they dead to rights.” But, boy, it sure looks like an open and shut case from where I’m standing. Anyway, a Massachusetts bankruptcy court judge has frozen the assets of the specialty pharmacy’s four owners so that victims and creditors may make claims against the company. Under the new court order, NECC’s owners will not be able to access their assets other than to pay legal bills and living expenses. NECC had previously filed for Chapter 11 protection and is already facing 150 lawsuits. A hearing has been scheduled for February 28, 2013. The deadly meningitis outbreak has been linked to a steroid injection produced by NECC. A government investigation revealed unsanitary pharmacy conditions and flawed sterility testing procedures. During an October facility visit, federal investigators found widespread mold among other contaminants. According to the FDA report on NECC, “clean” areas of the facility had visible surface discolorations and standing water. The company voluntarily ceased operations on October 4, 2012. Last November, NECC’s director was called in front of the House of Representatives to explain the FDA report. He exercised his Fifth Amendment rights and did not comment on NECC’s facilities or the company’s link to the outbreak. Following a denial of liability, NECC blamed its cleaning company, UniFirst. Passing the buck in turn, UniFirst acknowledged that one of its subsidiary companies was contracted to clean NECC’s facilities but asserts that the services were limited and that the unsafe conditions and tainted drugs were not due to the actions of UniFirst employees. UniFirst reports that it sent two employees to NECC once a month for a total of ninety minutes. UniFirst also claims that the janitorial team only used NECC’s cleaning solutions. This is not the first time NECC has been under scrutiny for failing government inspections or shipping tainted products. In 2003 the company had problems with contaminated medication and in 2006 the company was cited for unclean conditions. Last year, at least 89 medical facilities in Maryland received drug shipments from NECC. Some of these shipments were linked to the deadly steroids. Maryland buyers include the University of Maryland Medical Center, Northwest Hospital, and Greater Baltimore Medical Center. More than 3,000 facilities nationwide purchased from NECC.